While many national football teams around the world are celebrating their qualification for the Russia 2018 World Cup and preparing for the tournament, dreaded terrorist group ISIS is sending threats. SITE Intel Group, an intelligence organisation, has published an image released by pro-ISIS media unit Wafa’ Foundation. The image shows 5-time world footballer of the year Lionel Messi behind bars and shedding tears of blood. 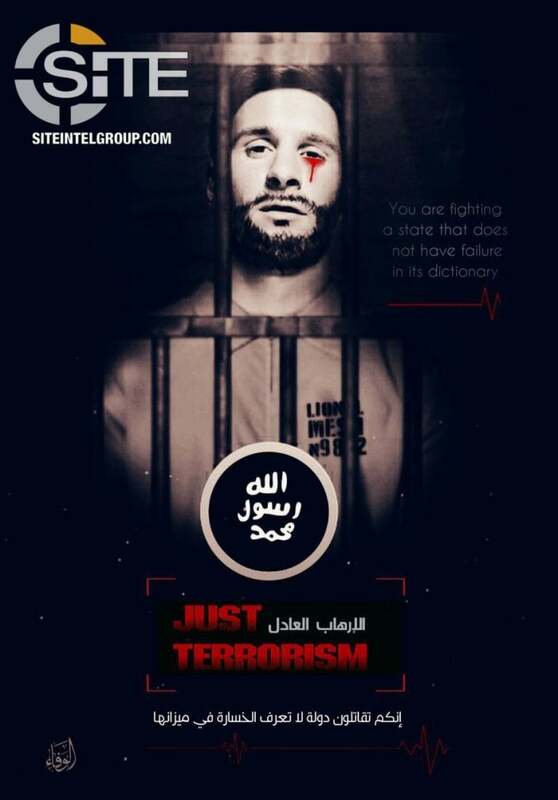 The image also has the words “Just Terrorism”, a likely play on sport brand Nike‘s “Just Do It” slogan.